Israel Armstrong, one of literature's most unlikely detectives, returns for more crime solving adventure in this hilarious second novel from `The Mobile Library' series. 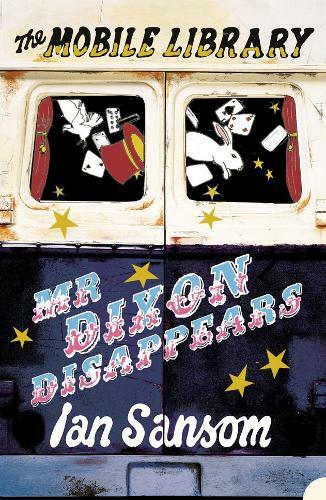 The second in the `The Mobile Library ` detective series, `Mr Dixon Disappears' once again features the magnificently hapless Israel Armstrong - the young, Jewish, duffle-coat wearing librarian who solves crimes, mysteries, and domestic problems all whilst driving a mobile library around the coast of Northern Ireland. Dixon and Pickering's, County Antrim's legendary department store, is preparing to celebrate its centenary. But the elderly Mr Dixon - a member of the Ulster Association of Magicians - has gone missing, along with one hundred thousand pounds in cash. It smells, pretty badly, of a kidnap. Israel becomes a suspect in the police investigation and is suspended from his job by his boss, the ever-fearsome Linda Wei. He's having to fight to clear his name. Does Israel's acclaimed five-panel touring exhibition showing the history of Dixon and Pickering's in old photographs and artefacts perhaps hold the key to Mr Dixon's mysterious disappearance? Will romance blossom between Israel and Rosie Hart, the barmaid at the First and Last? Will Linda Wei stick to her diet? And has nobody here heard of Franz Kafka? All will be revealed in this hilarious and endlessly inventive sequel to `The Case of the Missing Books'.